Last weekend I was part of the most informative walking tour of St Georges Park. 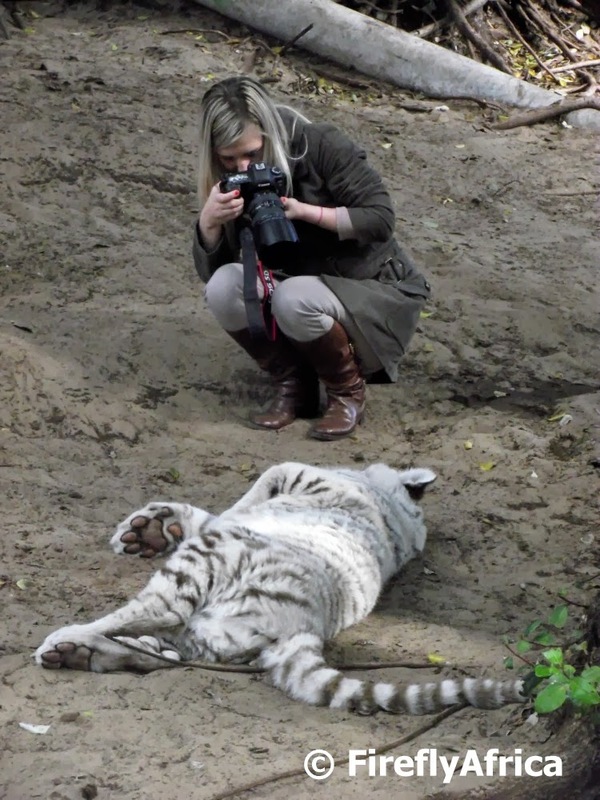 Photographer and journalist Ivor Markman has done some tremendous research on the park and it's history over the years and in the process not just collected tons of interesting information, but also some very rare photographs. Here he is showing off one of the oldest known pictures of the park while standing on the same spot it was taken way back then. 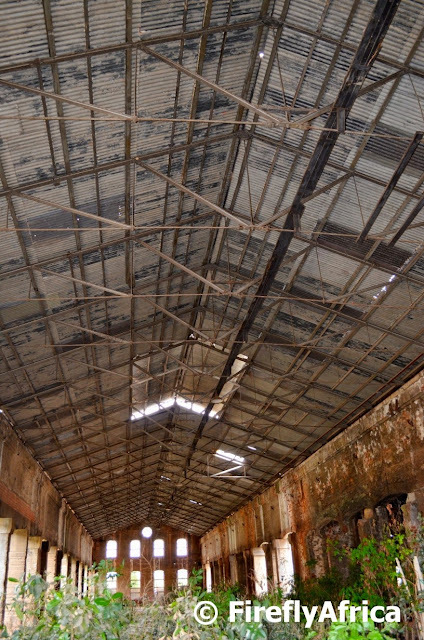 While visiting the Nelson Mandela Bay Science and Technology Centre in Uitenhage the other day I took a walk through the adjacent old railway sheds. There are future plans to turn them into a shopping centre but at the moment they're standing empty. The sheds are a photographer's dream though for both urban photographs as well as to photograph models. Last Sunday I was on a guided walk through St Georges Park learning more about the park's history. 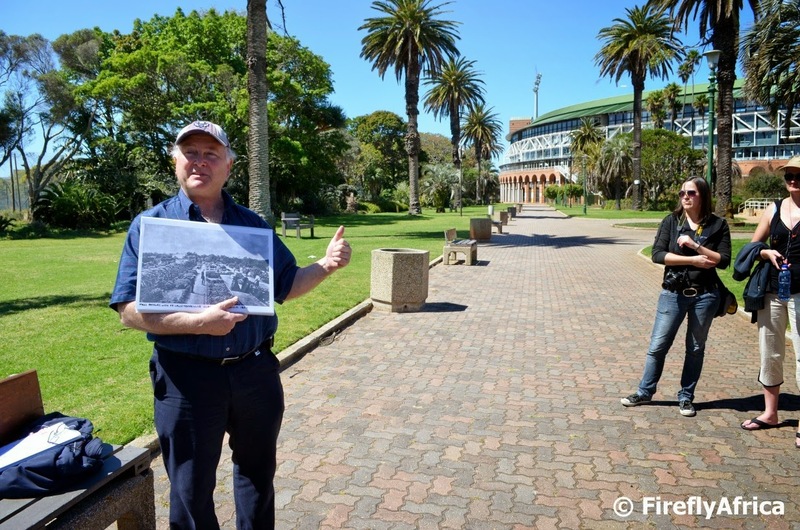 The walk was organised by Nelson Mandela Bay Tourism and led by local photographer, journalist and historian Ivor Markman. 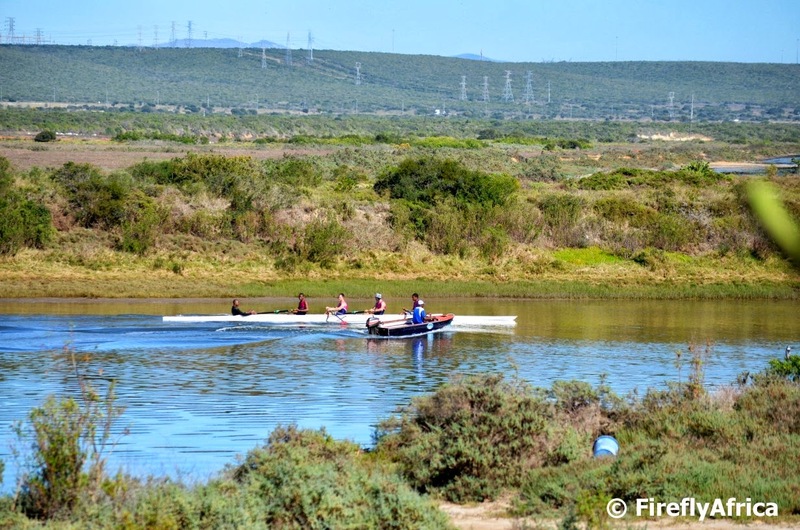 I've always believed that Port Elizabeth's parks and nature reserves are amongst our biggest assets and that locals should make an effort to utilise them more. 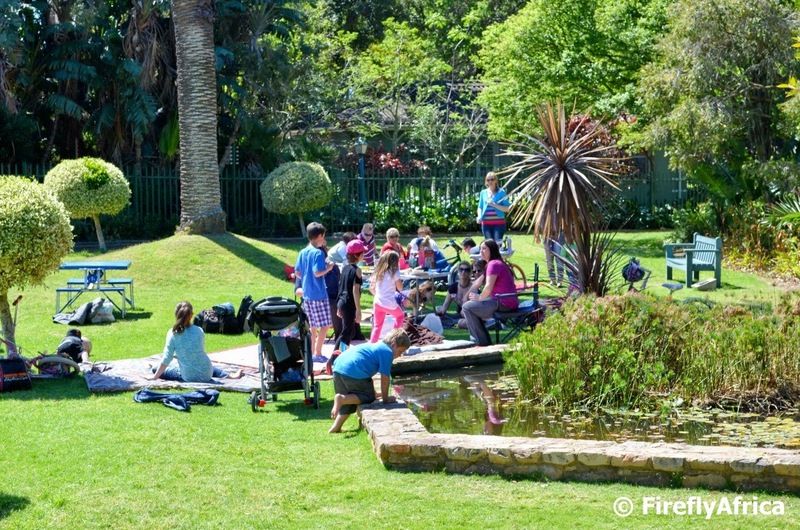 It was fantastic to see two groups of people busy with kiddies parties and family picnics in the park and shows that people are starting to realise and appreciate what we have in the city. Its the end of the week and the last Friday in September which means another month has seen its backside. 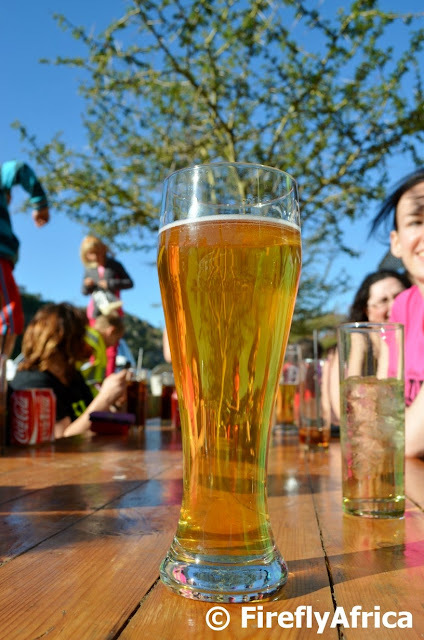 Its been a rough month work wise and I'm glad it's over and to celebrate it I would love to have been sitting at Bridge Street Brewery on the deck overlooking the Baakens Valley with one of their own Pilsners in my hand. That is if two things weren't happening. Firstly the wind is howling in the Bay today and secondly I'm not officially off duty yet as I still need take an visiting international journalist out to dinner tonight. Yeah, yeah, its a hard life but somebody has to do it. I always say that Addo is probably the best place in the world to watch wild African elephants in their natural environment and to get fairly up close sightings. Its not because these elephants are tame, not by a long shot. Over the years they have just gotten used to vehicles and as long as you don't intrude on their space and they don't feel threatened, the chances are often good that they would walk right by your vehicle. I visited Addo twice during SA National Parks week and snapped this shot of them walking past a small bus at Hapoor waterhole. 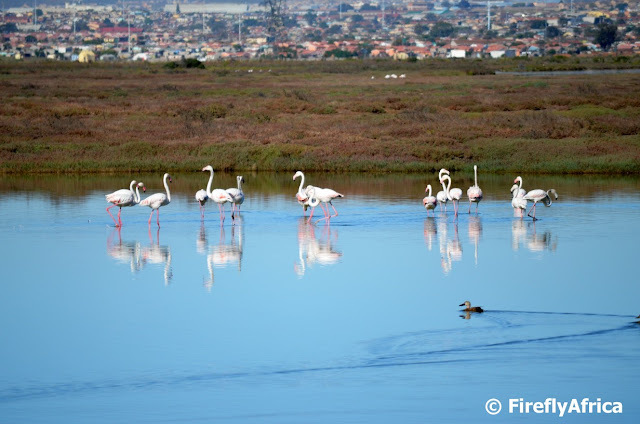 I was very fortunate to go on a guided walk along the Flamingo Trail next to the Swartkops Estuary the other day and got some great flamingo sightings along the way. After posting the view of the flamingo's from the top of the hill I thought I'll follow it up with a picture taken from the side of the river of the flamingo's wading along. Today is National Heritage Day, an official public holiday instituted by the government for everybody in this Rainbow Nation to celebrate their own heritage. This day is also informally known as National Braai Day as a braai (barbecue) is an important part of most cultures in South Africa and thus closely linked to our collective heritages. And here I am without a braai picture. 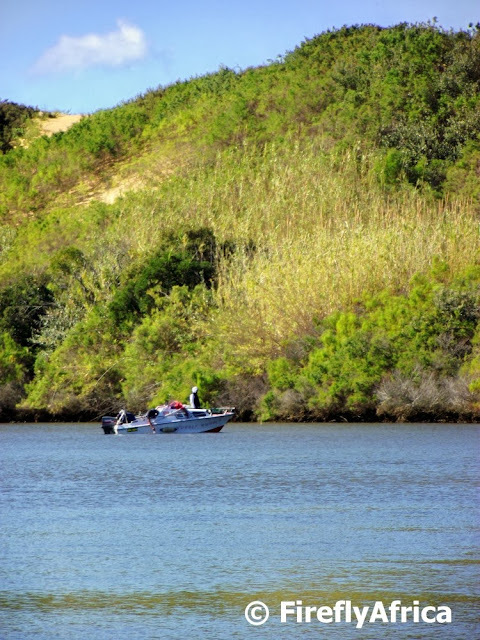 To most people fishing is part of their heritage as well so I'm posting a picture of a couple of guys fishing from a skiboat on the Sundays River. Watching elephants doesn't always have to be done from a back of a game viewing vehicle or your own car. 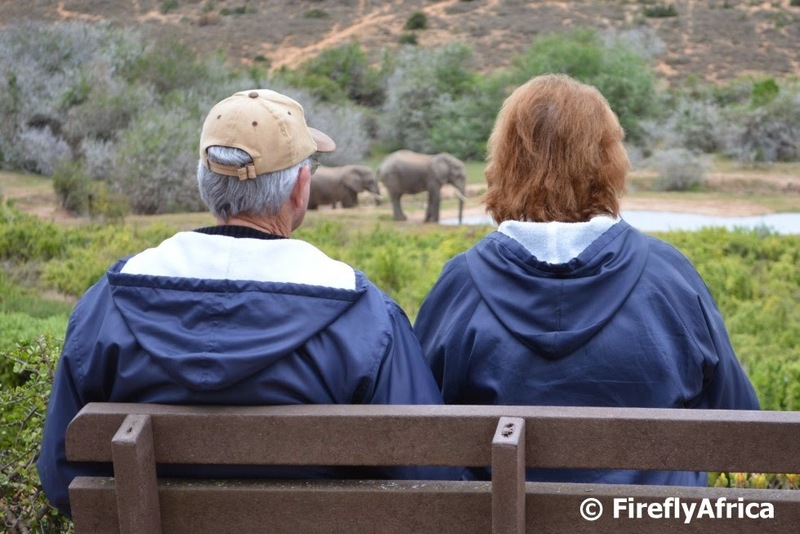 Addo Elephant National Park has a waterhole with a nice viewing area at its main rest camp and often visitors arriving at the park gets to see elephant here before they even drive into the game viewing area. 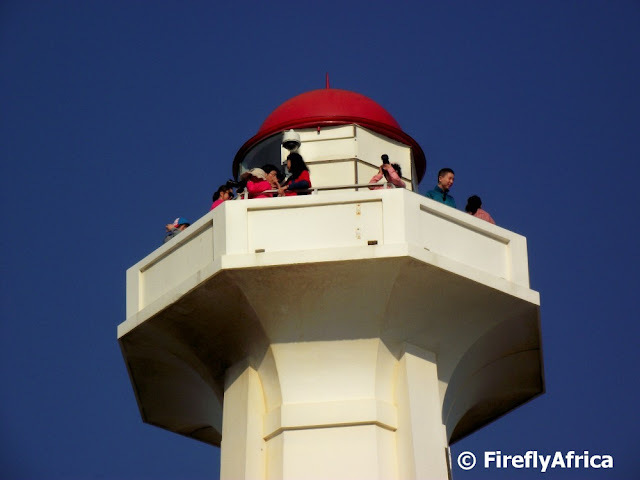 The minaret of the Pier Street Mosque next to the Settlers Freeway in South End. The mosque nearly made way for an off ramp in the 1970's with the minaret already removed by the time that the international community got involved and stopped the Apartheid government from proceeding with the demolition. 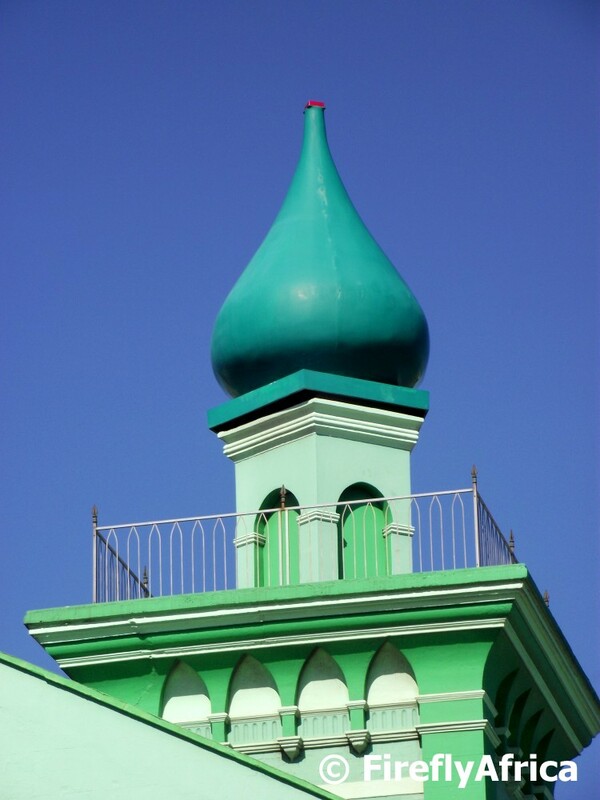 The Masjied-Ul-Aziz, (Pier Street Mosque) was officially opened in July 1901. Port Elizabeth has some magnificent sand dune for those wannabe mountain climbers who don't prefer to do the rocky thing. To the west the Maitland Beach sand dune is probably the best known one with many locals enjoying it over weekend. On the eastern side of Port Elizabeth there are some truly epic sand dunes though. 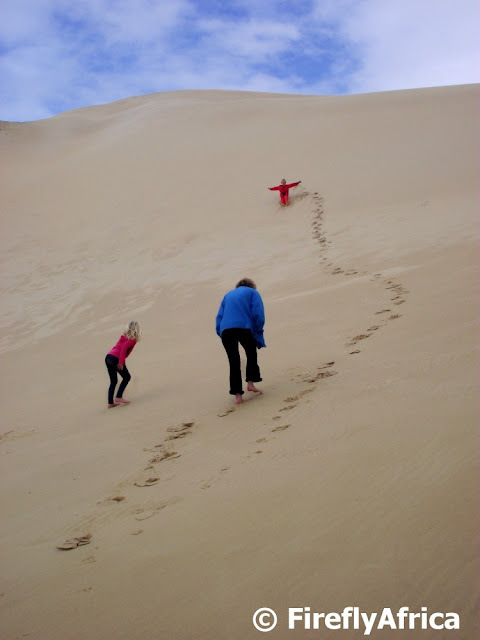 The Alexandria Dune field, the biggest coastal dune field in the Southern Hemisphere, starts at the Sundays River Mouth and stretches eastward over a distance of about 50 kilometres and has dunes over 60 meters high. On the PE side of the river mouth is the Colchester section of the dune field and this is where the family got to climb a couple of dunes after a cruise on the Sundays River Ferry. A calm morning on the Sundays River with one of the jetties at Cannonville. Some people would prefer to sit there with a fishing rod or a book. I like the company of my camera. 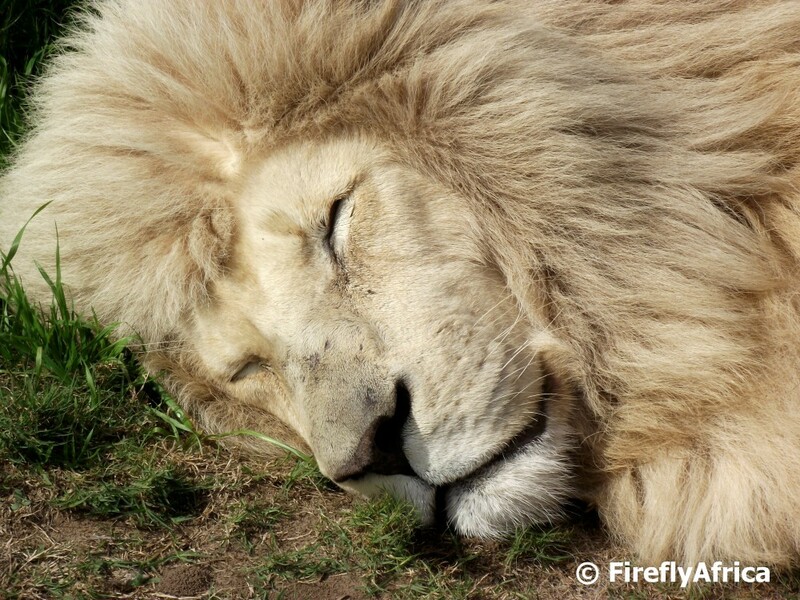 Thor, the first white lion to be born at Seaview Predator Park, taking an afternoon nap. He had absolutely no interest in the paparazzi on this side of the fence. Being tall isn't always that easy. Sometimes those long legs need a rest as well. You won't easily see giraffes sitting down where there are lions in the area. That's because they are all legs when they get up and can easily be taken off guard. Luckily for this one she lives in the Seaview Preditor Park and the lions here are in seperate enclosures. 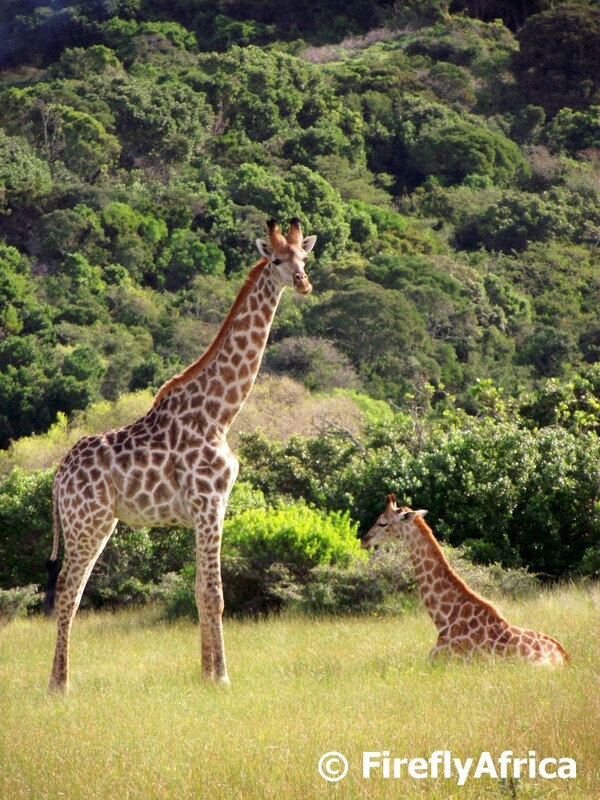 This past week, ending today, has been South African National Parks week. 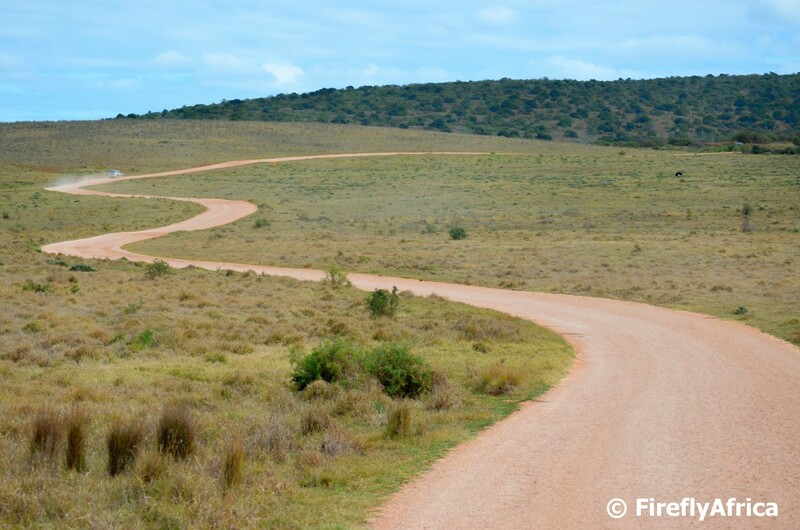 The whole idea behind the week is to encourage South Africans to support and visit our National Parks more. During the week entrance to the parks are free to South African citizens. I got to go to Addo twice this week, first with a group of hotel frontline staff and again yesterday with a group of old folk from the Malabar Home of the Aged. 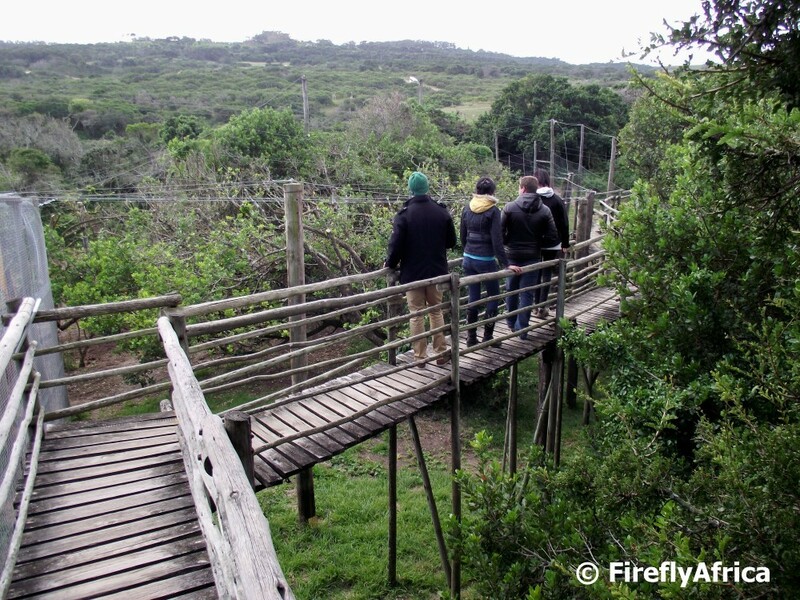 Addo was buzzing with both locals and international visitors on both days I was there. It was great to notice busses with school kids, elderly people and even a bus full of South African soldiers. 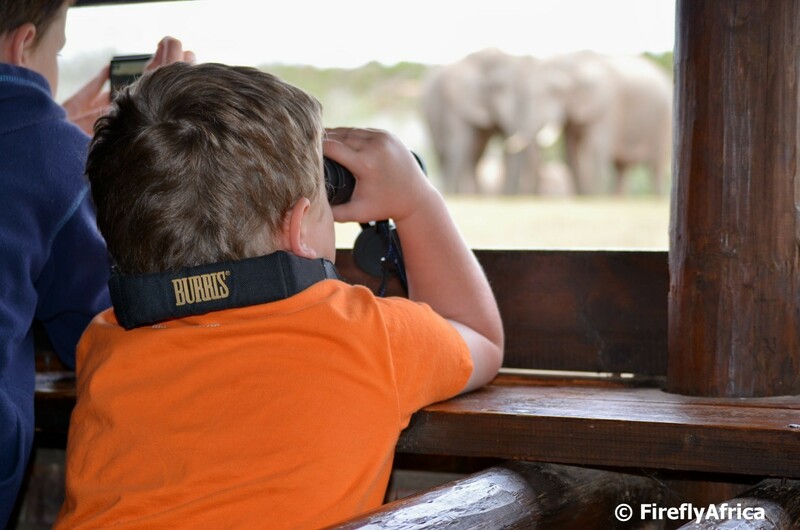 Going from what I saw there the two days I think SAN Parks week at Addo was a huge success. Now I just need to make a plan to visit Addo more often again. 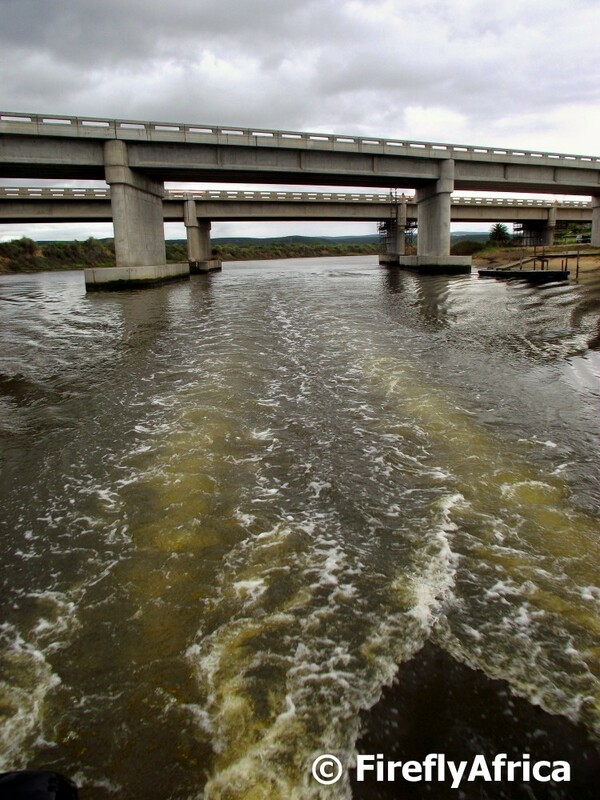 As you all know, Port Elizabeth Daily Photo isn't just always about places and historic sites around the city. Far from it actually. Walking around the Donkin Reserve the other day I snapped this pic of a fiscal shrike sitting on top of an aloe. I wonder what he had his eye on at this moment. Perhaps a little lizard scampering away in the nearby rock garden? 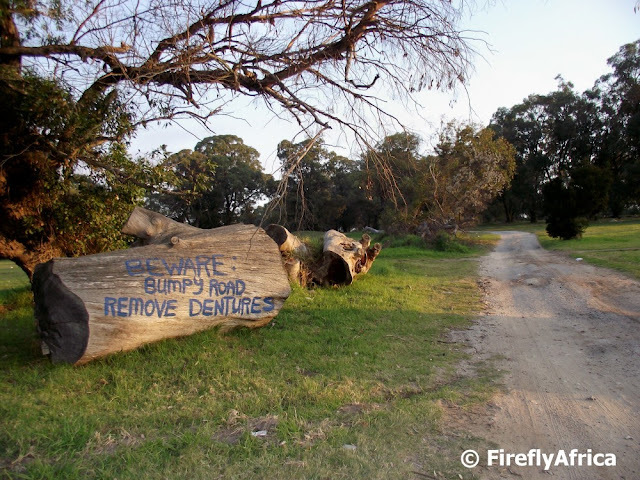 I wonder how many people drive down (or up) Villiers Road in Walmer every day without ever noticing this sign painted on a log next to the road. I for one never saw it until I was taken there in search of a geocache recently. The bumpy road it refers to leads to the Walmer Woods driving range. 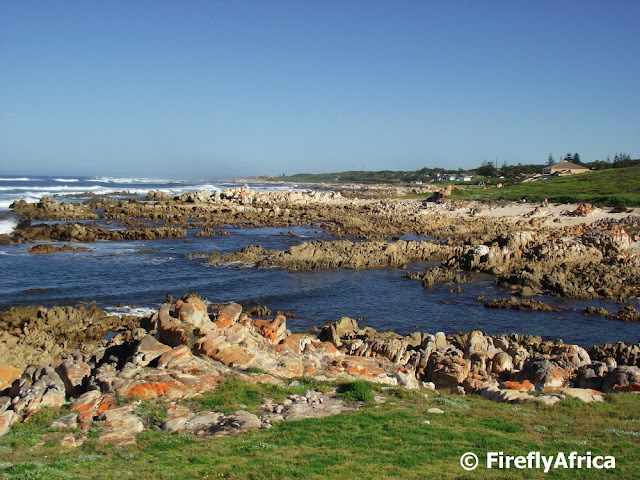 he Lovemore surname is closely linked to Port Elizabeth and it's early history, specially out in the western side of the city. 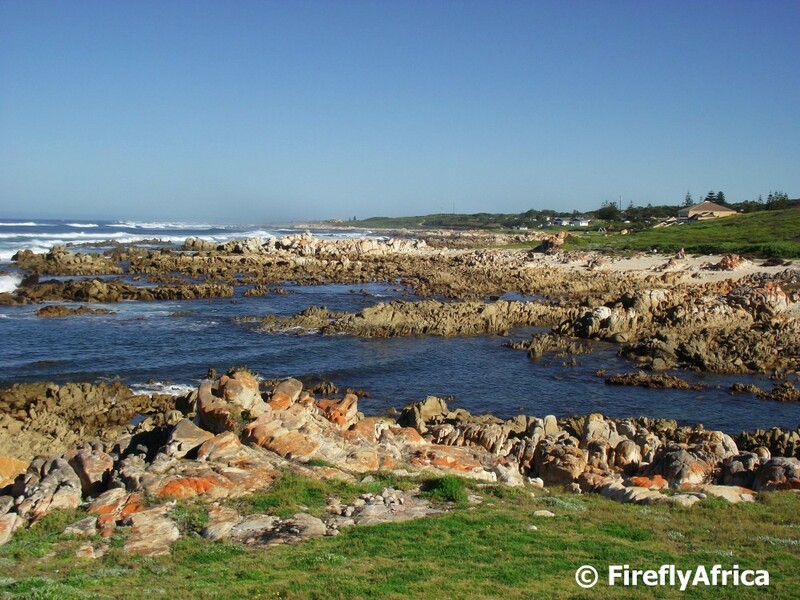 This is all thanks to one Henry LOVEMORE who left England to settle in Port Elizabeth in 1820. 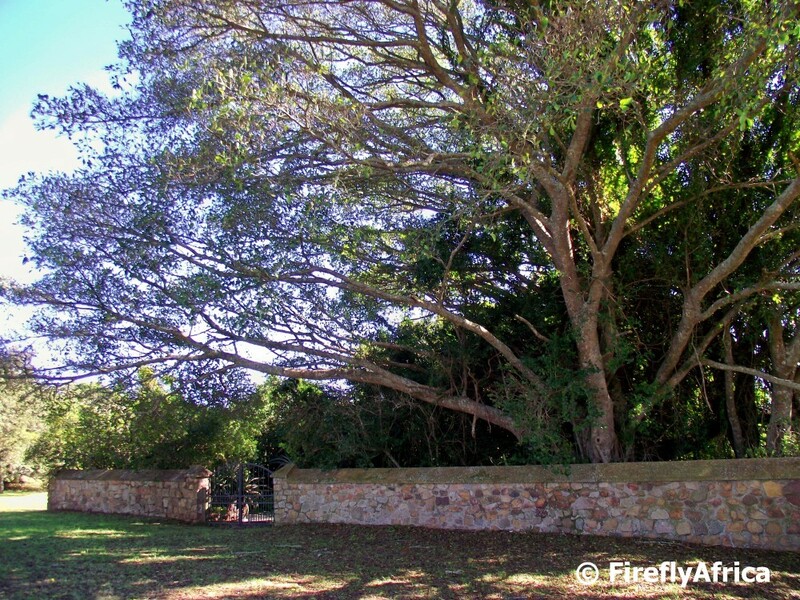 Although he came at the time of the British Settlers who settled east of the city around Grahamstown and Bathurst, Lovemore paid for his passage and purchased Bushy Park, then known as Klaas Kraal, for the princely sum of one thousand pounds. Lore has it that Henry was the illegitimate son of George III but this is said to have been disproven. Henry's riches weren't royal at all but came from many taverns he owned in around Fleet Street, area of London. Blue blood or not, Henry did leave a huge legacy in the form of ten children from three of his four marriages. 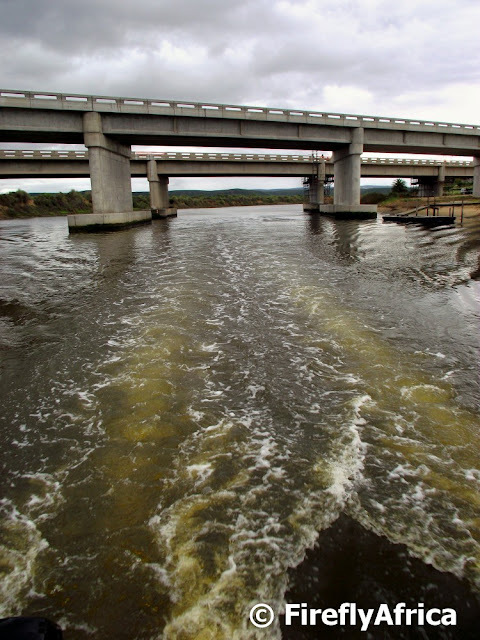 Land owned by the Lovemore family included the present day suburbs of Lovemore Heights, Charlo and Heatherbank. The family graveyards are at the three main Lovemore homesteads being at Bushy Park, Benmore off Circular Drive in Charlo and Preston Park in Paterson. There is another one in Lovemore Heights where a number of family graves can also be found and it was this one where I took the picture above. I always say how fortunate we are in Port Elizabeth to have so many game reserves and game parks close to the city, but I say it because I really mean it. 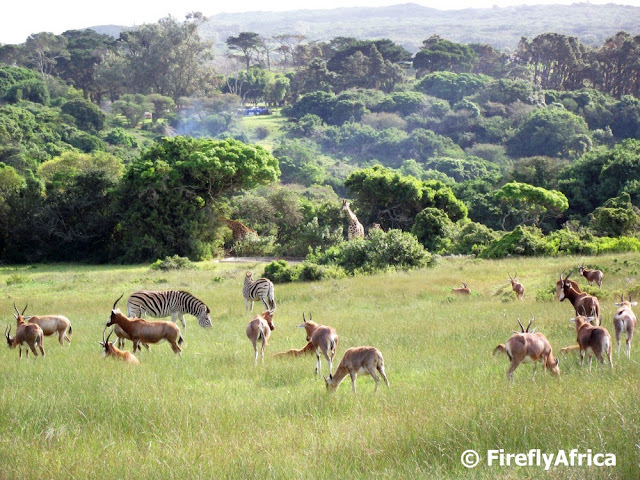 For a quick game watching outing and for sheer number and variety of animals I prefer Kragga Kamma Game Park, but visiting Seaview Preditor Park the other day I did get this great scene with zebra, blesbuck and giraffe. A couple of guys fishing on the Sundays River. 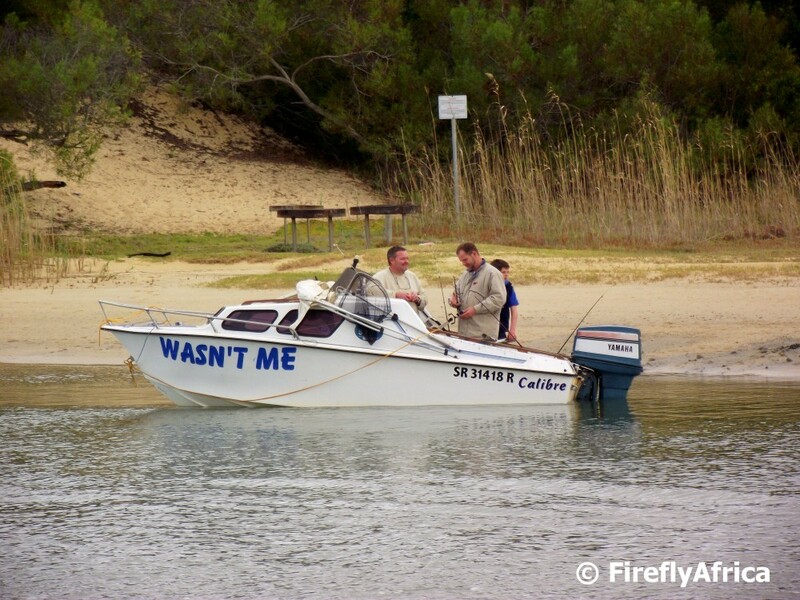 Cool name for the boat specially if its used to escape the wives for a day of beers and fishing. The walkway at Seaview Predator Park (previously known as Seaview Lion Park) takes one over a couple of enclosures with animals in them. Along the way we saw a bush pig, black panther, meerkats, hyena and lion and tiger cubs to mention a few. The park is great for local kids who would never be able to see most of these animals in the wild. Just when I think that I know or have seen just about everything there is to know and see in and around Port Elizabeth something else presents itself. And truth to be told, through Geocaching I'm discovering something new just about on a weekly basis. Last weekend I took the KidZ to look for a cache in the Theescombe area and discovered the vulnerable Theescombe Wetland Conservation Area. 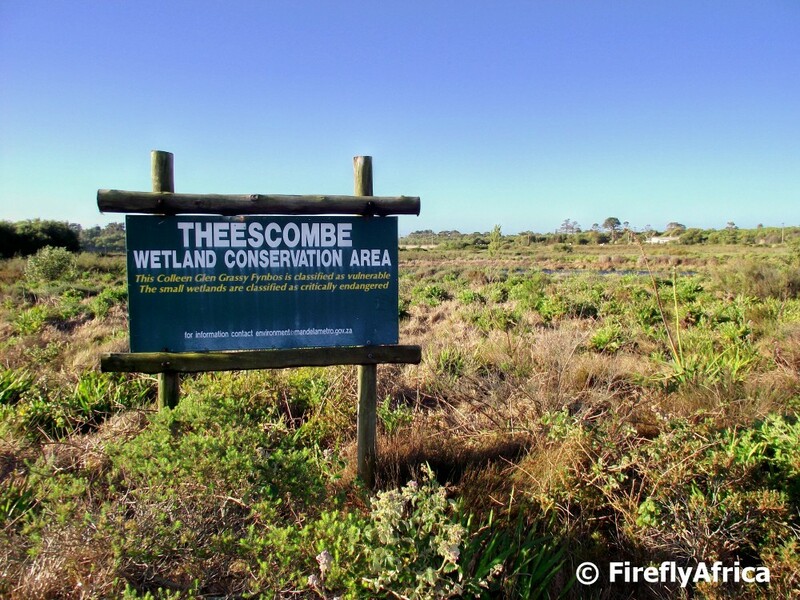 The sign says: "This Colleen Glen Grassy Fynbos is classified as vulnerable. 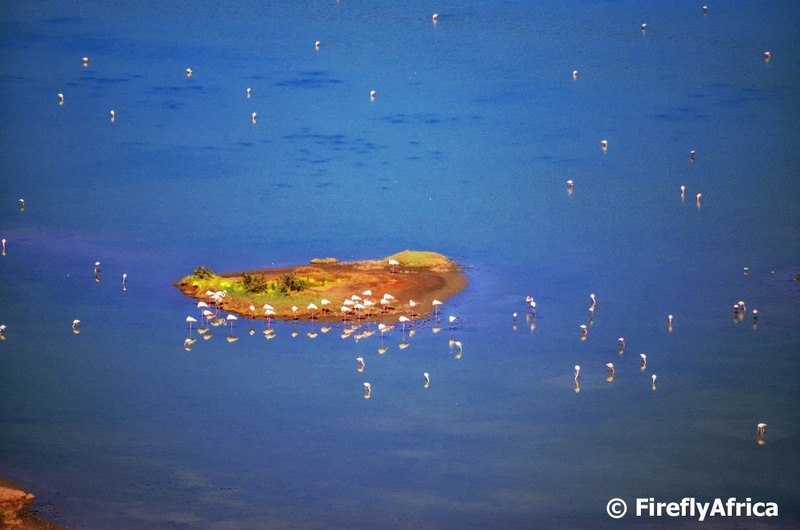 The small wetlands are classified as critically endangered." 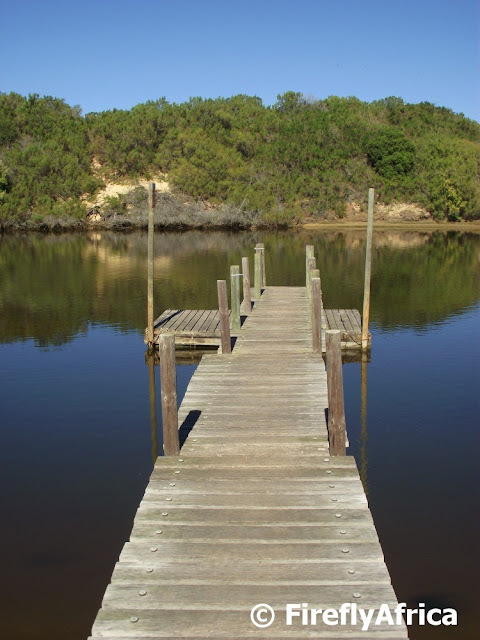 Once again it just shows how much there is to discover in Port Elizabeth. The Lion. King of the Jungle but also one of the laziest animals around. But why not? When one is King you take it easy and just do the necessary, like hunt and eat. 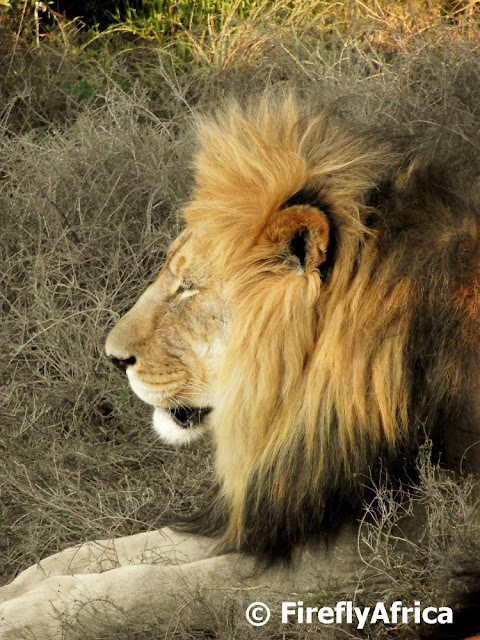 Addo Elephant National Park as well as most of the private game reserves around Port Elizabeth have lions so if you get to visit any of these you have a good chance of having a royal encounter. People from all over the world travel to Africa on a daily basis to, amongst many things, see elephants in the wild. 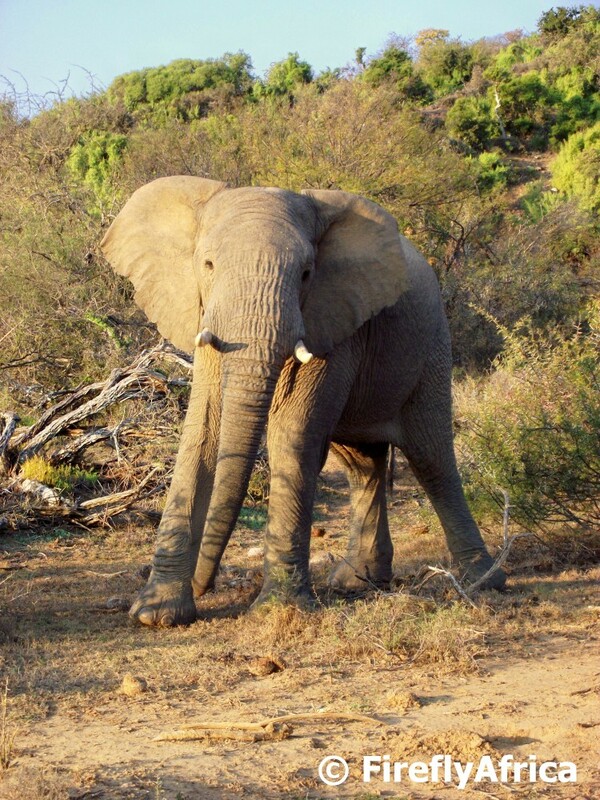 Here in Port Elizabeth we are extremely privileged to have Addo Elephant National Park as well as many private game reserves right on our doorstep. 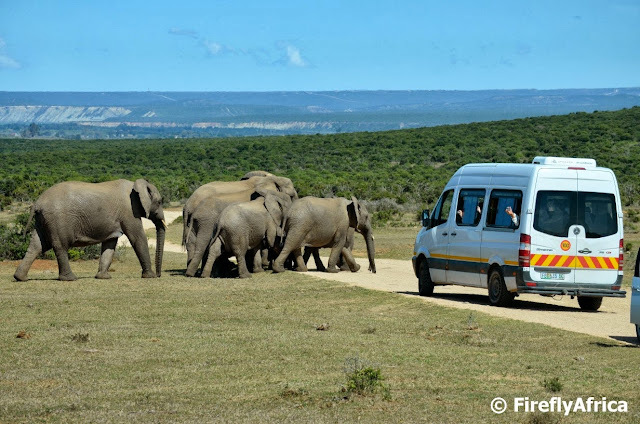 I could easily hop in my car and within an hour be watching wild elephants in their natural environment in Addo. 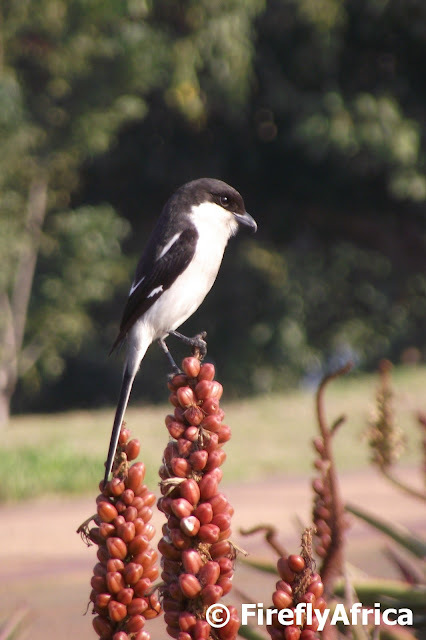 From 9 - 13 September is South African National Parks Week and South Africans can visit any SAN Park for free. Mahala. Pasella. It will cost you absolutely nothing to get in the gate. Pity though that they don't extend the offer for the weekend as well. Its Spring Day!!! Spring hasn't really sprung just yet but psychologically at least we start to think Spring and we know its somewhere on the horizon. I'm celebrating Spring Day with a photo of the Wildside with Willows in the background. PS, I'm currently at the Getaway Show in Johannesburg so please excuse the short posts.